PHOTO: Matt Gosiewski (13) scores a shorthanded goal helping lead the Wild to a 6-3 win over Powell River. The Wenatchee Wild entered Saturday’s game with a three-game losing streak, and their opponent, the Powell River Kings had won five straight. Both streaks came to an end at Town Toyota Center while 2,000 fans roared their approval. It only took :34 seconds for the Wild to open the scoring. A Kings pass was picked off in the slot by Matt Dorsey, and his quick shot on net rebounded to Lucas Sowder who buried it for a 1-0 lead. In the second period, the Kings tied it as Ryan Brushett scored on a 2-on-1 break unassisted, and Rowan Miller finished off a feed on another 2-on-1 later in the period. Wenatchee tied it back up on a AJ Hodges goal that pinballed into the net off the arm of a Kings player. The Kings retook the lead on a Josh Coblenz goal but, still in the second period, Hodges would score again, this time hammering home a perfect pass from Josh Arnold. Tied at 3-3 into the third, things looked dire for the Wild as they found themselves down on a 5-on-3 penalty kill with 6 minutes left in regulation. The Wild penalty killers were outstanding, but it was Matt Gosiewski who stole the momentum when a Kings defenseman fanned on a pass and Gosiewski poked it out into the neutral zone, then raced in alone to beat goalie Mitch Adamyk with a blocker side deke for a 4-3 lead. Moments after the Wild returned to even strength, Murphy Stratton forced a turnover in the Kings zone, then fed it to Dorsey who snapped it home through the pads to make it 5-3. Josh Arnold added a late empty-net shorthanded goal for the final 6-3 margin. Cal Sandquist stopped 20 of 23 shots for the win. 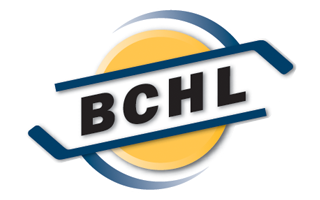 Wenatchee (10-9-2) continues their homestand Friday and Saturday nights as they welcome the Surrey Eagles and Coquitlam Express. 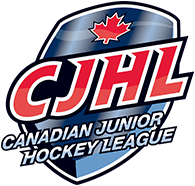 The games will be available for video streaming on HockeyTV, and will be broadcast live on “NewsRadio 560 KPQ” with the Pregame Shows beginning at 6:45 pm each night.